As we honored September 11th yesterday we briefly talked about some of the heroes. My son is only three and a half and way too young to understand anything about the collapse of the Twin Towers. He is interested in fire and smoke right now, so I didn't even really want to expose him to the images because he would think they were cool. It is amazing to think how an event so devastating and emotional for me can have literally no effect on someone else. I literally cried all morning every time I read an article, saw an image, or thought about the day. We created our own simple September 11th Memorial. We painted some cardboard stars red, white, and blue and then we hung them alongside our Pebble Flag on the front door. 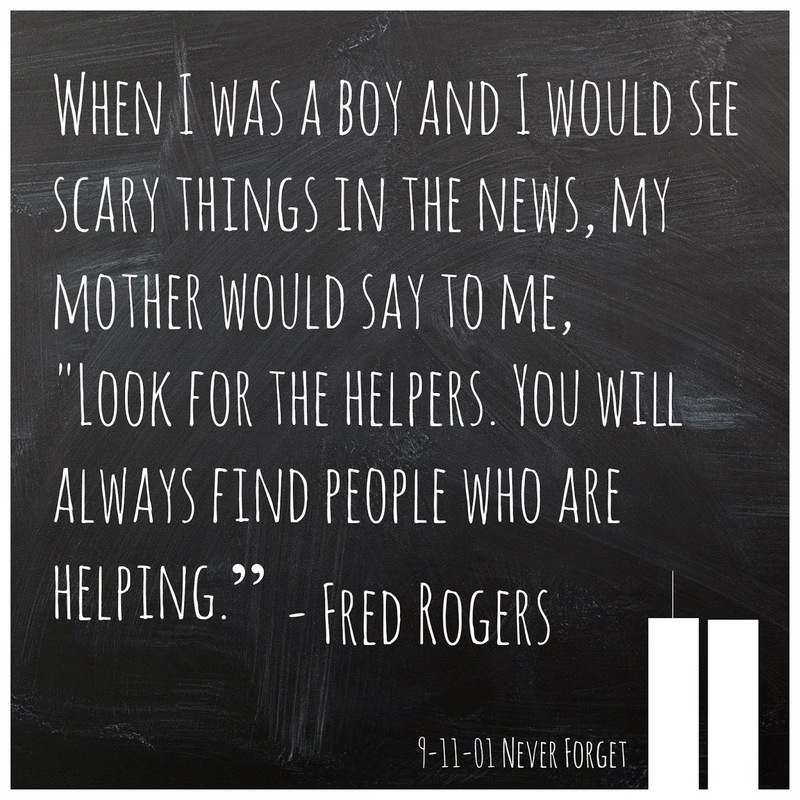 I spent the day trying to remember exactly what I did on September 11th... and how I felt. I didn't have a moment to look back through my journal to find an entry from the day. I'm hoping that I wrote one... since I have forgotten so many of the details. We spent the evening with some good friends from New Jersey and we recounted our memories of the day. Our friends mentioned story after story of people they knew who had had appointments in the World Trade Center that day and for some reason or another, didn't make their meetings. One hurt her back and had to cancel the meeting, another was running late, etc... in each case, they missed their appointment and their lives were spared. I attempted to write down my memories tonight in this post, but I can't. They don't seem significant enough compared to the devastating moments recorded by so many families of victims. I did spend time a lot of time today thinking about the children of 9-11 and their parents/guardians. I thought about the parents that they lost (who were heroes) and then I thought about the parents/guardians that remain... who are also heroes. I will never forget September 11th. The images from that day are ingrained in my mind forever. I was amazed by the goodness of so many people that day. It reminded me of how amazing this world can be. Did you do anything to honor the day?